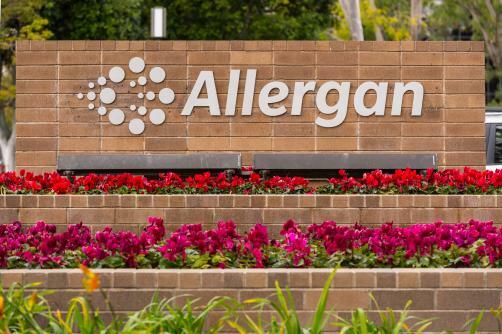 According to a piece by Bloomberg, Allergan is looking at options to divest its women’s health unit in a move that could potentially reap about $5 billion. The Botox-maker is currently struggling through a rough patch, one that has been on-going for more than a year and has seen its share price slowly slide. The major issue for the company is how it is preparing its pipeline beyond Botox and Restasis – with the former now having a biosimilar in the making and the latter being the subject of a protracted patent battle, which it looks set to lose. The company is faced with difficult decisions to navigate these choppy waters and, according to an unnamed source speaking to Bloomberg¸ this could mean looking at shedding any low-growth part of the business. Revenues for the women’s health unit are down from the previous year but it is likely that there would still be interest in snapping up the business or, at least, specific products from its portfolio by other companies or private equity firms. The move would follow a similar path to Teva, with its troubles seeing it reduce the size of its business by successfully divesting its global women’s health portfolio. Allergan’s CEO, Brent Saunders, has been adamant in the view that he believes the company is being underestimated. The company can point towards a pipeline of 15 products that are in late-stage development to back up this position, with the company believing that just six of these could generate more than $4 billion annually. One of these is its oral CGRP inhibitor migraine treatment, which was able to announce positive Phase 3 results just last month – with estimates of peak sales of around $1 billion.